In Celtic mythology, the endless knot brings luck and protection to the wearer. Casual sweater has a high ribbed button collar and four football buttons at the neck. 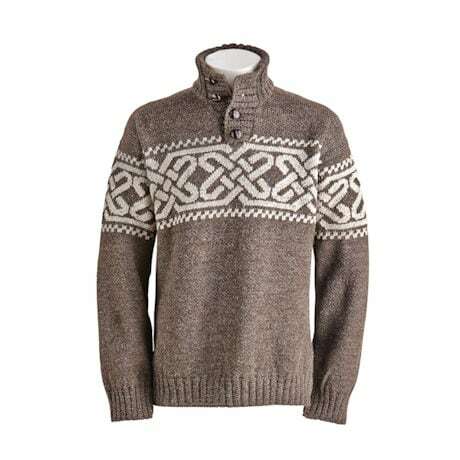 Knit from new wool, natural, organic, and easy-care, it will serve him well for years. Hand-wash or dry-clean. Made in Westport, County Mayo, Ireland. Size L hangs 28". Men's sizes M-XXL.